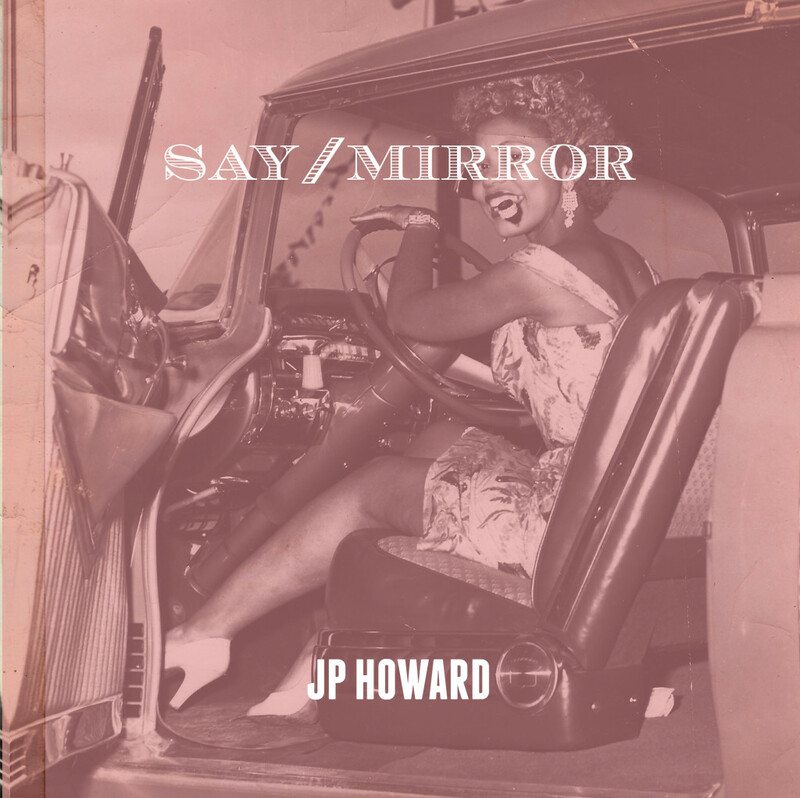 HOT OFF THE OS PRESS :: JP HOWARD’s DEBUT COLLECTION, SAY/MIRROR, NOW AVAILABLE FOR PRESALE! It’s been a busy time here at The Operating System as Summer gears up into the New York City Fall arts season. In addition to our always active calendar of events (keep your eyes out for readings at Bluestockings, da levy lives at the Sidewalk Cafe, Mental Marginalia, the Brooklyn Book Festival, the Americas Poetry Festival, and more) this is thanks to the blossoming of our publishing arm, which is growing steadily with the announcement of three stand alone titles this fall (and with four new chapbooks waiting in the wings for spring of 2015)! Today’s announcement, however, is focused on one very special volume: SAY/MIRROR, the debut collection of poetry from community leader, poet, Women Writers In Bloom Salon curator/nurturer, and fellow native New Yorker, JP Howard. It’s been a pleasure to work alongside JP, editing and designing the volume, and we are (collectively) thrilled to offer a special limited time PRESALE offer for the collection, available online starting today! Here’s a brief description of the book, alongside an excerpt, and some well-deserved advance praise. Reserve your copy now! And stay tuned for Moons of Jupiter, a stunning pair of plays by Steve Danziger, soon to follow. JP Howard’s debut collection, SAY / MIRROR, is a dialogue of history and memory, reflecting on and integrating vintage photographs of her mother, Ruth King (a fairly well known African American runway model in Harlem during the 1940’s and 1950’s) with snapshots from the poet’s own childhood. This manuscript began to emerge when Howard gained access to a large collection of her mother’s modeling photos, as well as some local Harlem magazine and newspaper clippings, and was thereby offered a window into her heyday, begging comparison to and recollection of a complex motherhood away from the spotlight. Here is a project that seeks to use poetry as both memoir and biography, alongside the evocative nostalgia of vintage image – a map from which Howard has pieced together the bright but uneven path of growing up in the shadow of a “model” mother. The atlas of SAY/MIRROR charts the islands of the poet and her mother’s overlapping lives – unearthing the shared experiences of a single parent and only child, coming to terms with each other in the 1970’s and 80’s: a socio-historical-emotional retelling of the life of a diva through a daughter’s eyes, with both parent and child learning to navigate the rocky terrain therein. JP Howard (aka Juliet P. Howard) is a poet, Cave Canem graduate fellow, member of The Hot Poets Collective and native New Yorker. She curates and nurtures Women Writers in Bloom Poetry Salon and Blog (WWBPS), a forum offering women writers at all levels a venue to come together in a positive and supportive space. WWBPS hosts monthly literary Salons in NY and the blog accepts submissions of poetry. JP is the recipient of a 2014 Brooklyn Arts Council (BAC) Community Arts Fund Grant on behalf of the Salon. A 2014 alum of the VONA/Voices Writers Workshop, JP is a Lambda Literary Foundation Emerging LGBT Voices Fellow and was a Cave Canem Fellow-in-Residence at the Virginia Center for the Creative Arts. She was also a finalist in the poetry category by the Lesbian Writers’ Fund of Astraea Lesbian Foundation for Justice, as well as the recipient of a Soul Mountain Retreat writing residency. JP’s poems have appeared in: Nepantla: A Journal for Queer Poets of Color (Lambda Literary Foundation), Adrienne: A Poetry Journal of Queer Women (Sibling Rivalry Press), The Wide Shore: A Journal of Global Women’s Poetry, The Best American Poetry Blog, iArtistas, MiPOesias iPad Companion, The Mom Egg, African Voices Magazine, Kweli Journal, “Of Fire, Of Iron”, Talking Writing, Muzzle Magazine, Muzzle’s 2011 “Best of the First Year” Print Issue, Connotation Press, Brown Girl Love, TORCH, Queer Convention: A Chapbook of Fierce, Cave Canem Anthology XII: Poems 2008-2009, Cave Canem XI 2007 Anthology, Promethean Literary Journal, The Portable Lower East Side (Queer City) and Poetry in Performance. 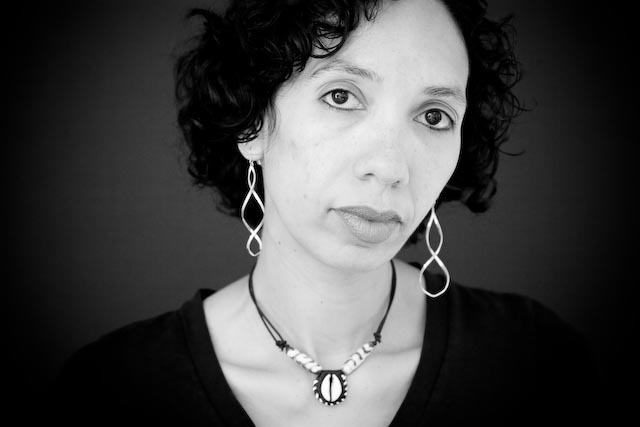 JP received her MFA in Creative Writing from the City College of New York and holds a BA from Barnard College. She last contributed to The Operating System’s annual Poetry Month 30/30/30 series with this essay on Pat Parker.